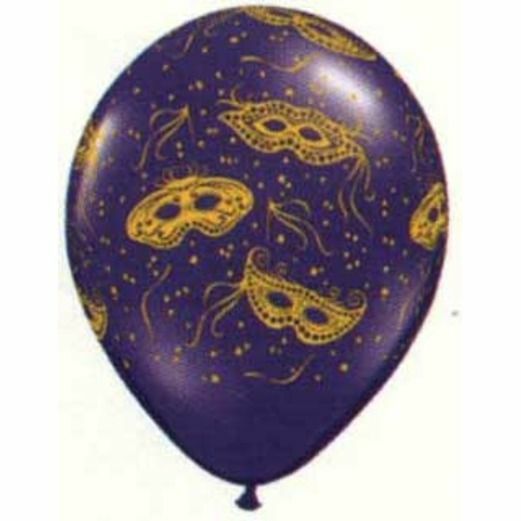 Amols' has the perfect balloon for your Mardi Gras party. These 11" Mardi Gras masks balloons will make your Mardi Gras party a huge hit. These balloons are assorted quartz purple and emerald green balloons with golden yellow masks and confetti all over the balloon.